When it comes to moving in or out of Alpha, NJ, Optimum Moving is one of the leading relocation specialists that you can trust. Since our inception, we have been recognized as a full service moving company that caters to all types of relocation needs. Whether you are looking to relocate your business or make a long distance residential move, we’ve got you covered. Located in Warren County, NJ, Alpha is a borough incorporated from portions of Pohatcong Township in 1911. The borough was named after Alpha Cement Works and is one of the eastern-most locations within New Jersey and Pennsylvania’s Lehigh Valley region. Alpha has a total area of more than 1.6 square miles, and Interstate 78 passes through the borough’s southern portion. 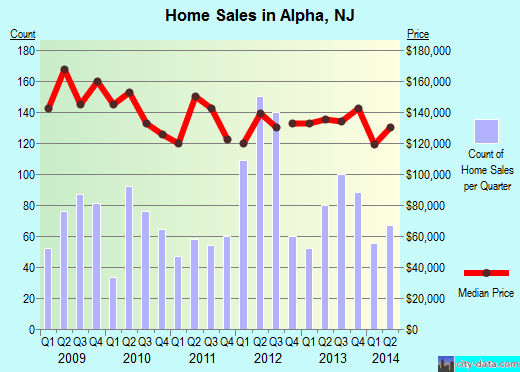 In Alpha, the median price of houses is approximately $178,337. The houses feature three bedrooms each on average. About 65% of Alpha’s 2,326 residents are known to stay in this city and in the same house for five years on average. Condo and house owners tend to stay in their properties for an average of 17 years while renters live here for less than three years on average. At Optimum Moving, we have in-depth knowledge of the NJ local areas. Along with our cost effective solutions, we are able to produce results that will always leave you satisfied. When you move with us, everything is completed on schedule. We never plan on the go. Our professional staff will sit down with you to discuss your needs as well as any potential time constraints. What’s more, we utilize an array of modern moving equipment and our experienced movers make the constant effort to keeping up to date with the latest moving innovations. Want to learn more about a Alpha Move?